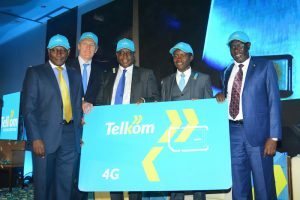 Telkom Kenya has relaunched almost 12 months after the exit of the immediate former majority shareholder, the Orange Group (formerly France Telecom), – who sold its majority stake to private equity firm, Helios Investment Partners. The Kenyan Government owns 40% of Telkom. “We are committed to gradually restoring Telkom’s relevance in Kenya’s social and economic dynamic to transform it into a viable market player in the telecommunications sector and a profitable national asset,” says Company Chair, Eddy Njoroge. Telkom also launched a 4G network with free daily data in all major towns and also entered the home broadband market offering 4G to homes in an offer dubbed ‘Home Plan’.. This entry was posted in Helios Partners, Investing in Kenya, kenya communications, Telkom Kenya on June 7, 2017 by bankelele.